Mr. Phil Ferrente is a fitness freak and he wanted a marketplace where fitness trainers can connect with clients. 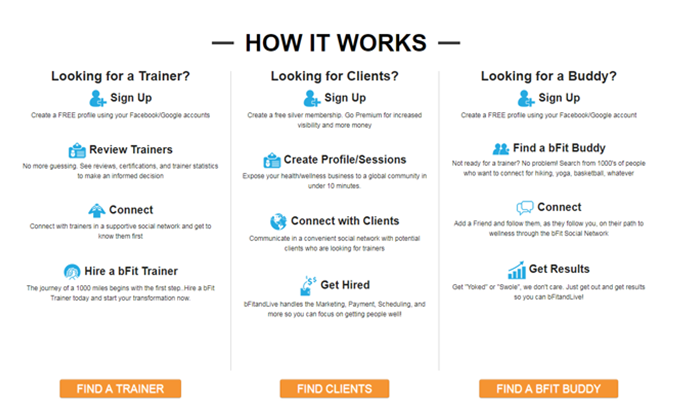 He wanted a system in which the trainers can post their training related offerings and the clients can browse the site and subscribe to the training program. Team DCI designed your perfect trainer platform to promote the connection of those who are experts in their health/wellness discipline, to those who have had "the moment" and are ready for change. The fitness trainers can subscibe to a membership plan to offer various packages for fitness activities ranging from acupuncture, archery, to Yoga. They can create online session, group sessions and private sessions. 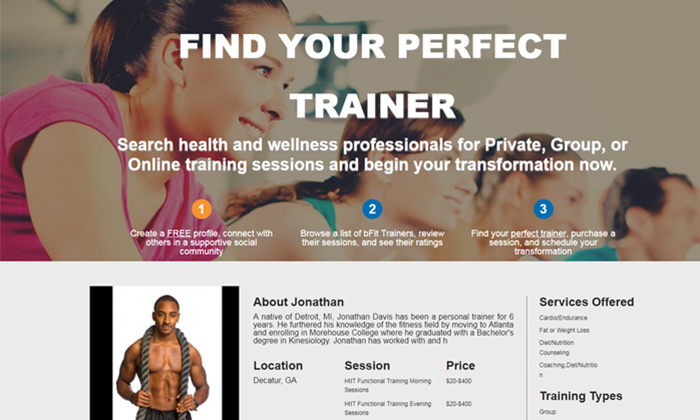 Individuals who are seeking for trainers can register to the site using Facebook, Google or can simply signup on the website for free. They can browse the plans including online sessions, group sessions, in person sessions offered by different trainers and can choose the one that suits them the best. They can schedule the sessions as per their convenience and the trainer can provide a confirmation based on their availibility. They can pay the trainers depending upon the type and price of session. The end users can also post feedback and rating on the sessions which they have completed. A powerful admin section is developed where admin can manage users, manage trainers and verify trainer's certificates. The admin also has feature to pay the trainers for the sessions which has been marked as completed by clients. Authorize.net: For credit card payment. Stripe: For credit card payment.